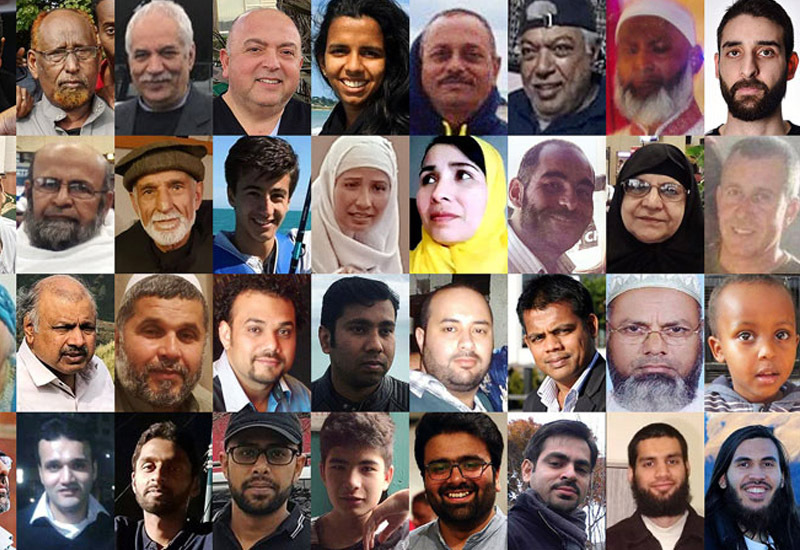 Together, we have collected more than 12,000 messages of love and solidarity for the Muslim communities of New Zealand and supported fundraising efforts that have raised more than $2.3 million for the victims’ families. 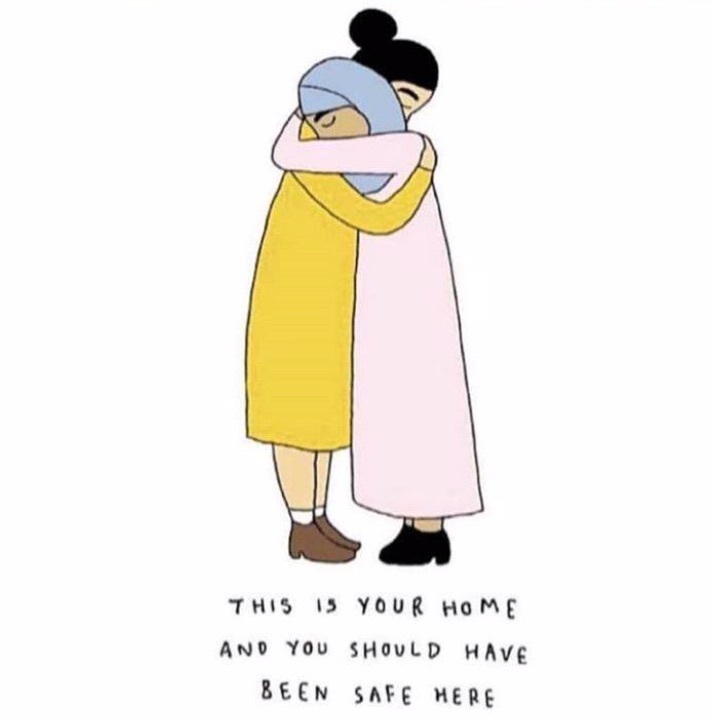 We are now working with allies on the ground to deliver your notes directly to the families and community in Christchurch. If you have not had a chance to write your message, please click here. Kia Kaha is a Māori phrase used by the people of New Zealand as an affirmation. It means Stay Strong. Our teammate Amy Olrick, Senior Associate of the Revolutionary Love Project, lives in New Zealand with her family. She has witnessed the impact of this solidarity on the ground and how we can “Stay Strong” together. 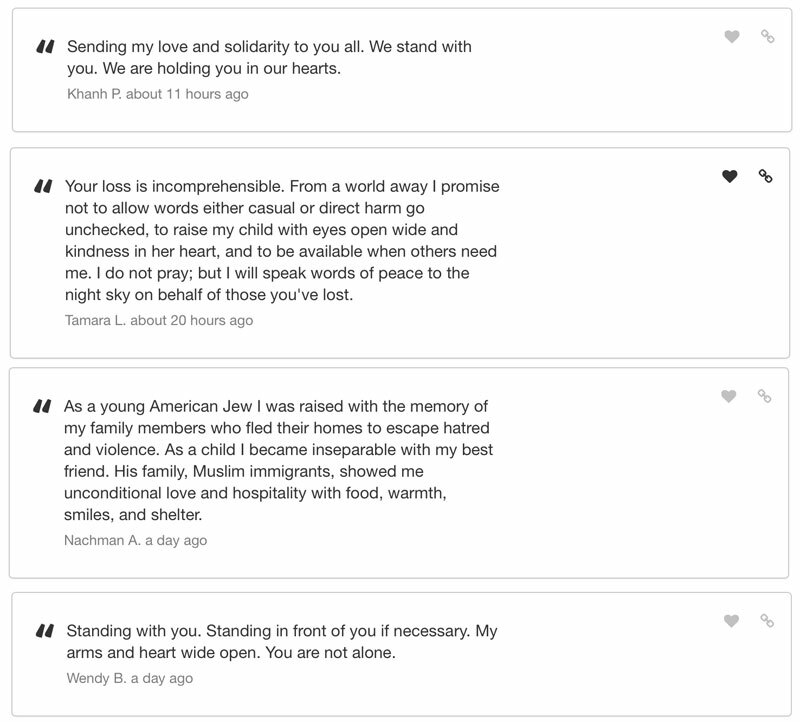 In the wake of the massacre, she reminded her children that solidarity means to “go where we felt love calling us, even if we felt scared, and even if it puts us at risk.” Read Amy’s powerful essay published in USA Today. Support the NO BAN Act, introduced to repeal the Muslim Ban and create new standards to stop discriminatory bans in the future. Produce curricula that teaches students and communities how to respond to hate and bigotry with muscular, demanding love and solidarity in action. We need your support more than ever. If you are moved, please make a donation in any amount. Make a monthly donation of $15/month to join our #Beloved200 and receive a thank-you gift and direct updates and previews from our team. In the last few days, our team sent each other videos to help us keep working through the night, even through our own heartbreak. 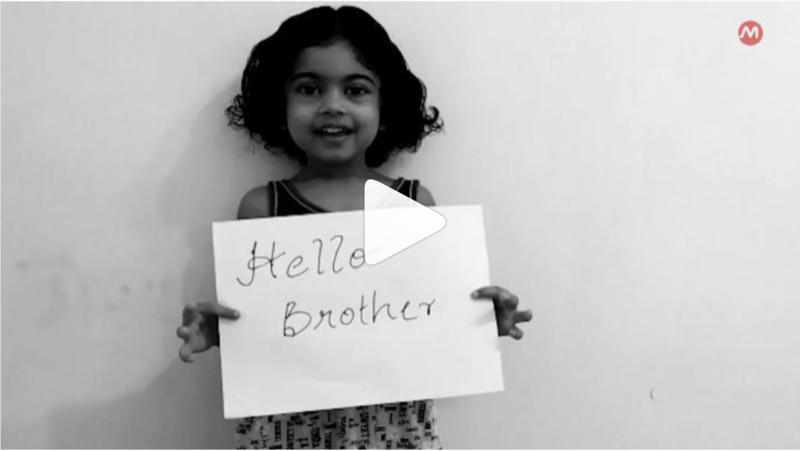 We decided to share these videos with YOU below with the hope that you might find solace and energy. 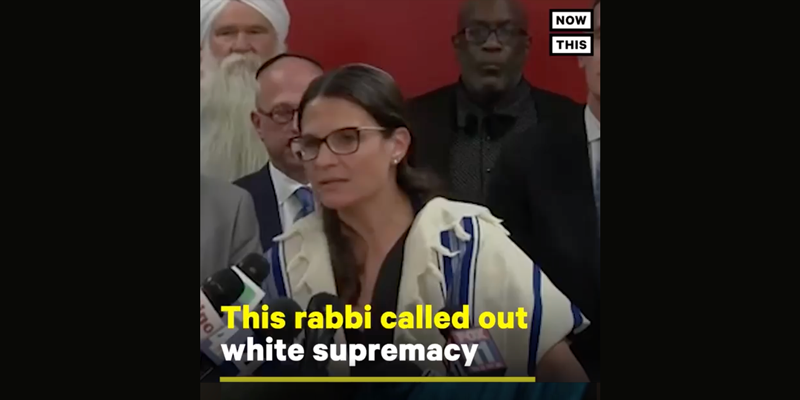 Scroll down to watch the fierce haka ritual dance in action, witness a survivor send love to his wife’s murderer, listen to a Rabbi’s rousing speech against white supremacy, and hear a chorus of voices echo the greeting that the gunman received at the mosque before he began opening fire: “Hello Brother.” Join your voice to theirs. Send a message to the families here. In the name of the 50 people we lost, we remain steadfast in our labors for love and justice. Kia Kaha. Spread the word. Share this post. This is Mucaad Ibrahim. He is three years old, the youngest of the 50 people killed in the massacre in the mosques in NZ. I imagine his parents trying to get the family out of the house to get to worship on time — come on, baby, we’re getting late, where are your shoes? I want to look away. I keep my eyes on his face and choose to grieve someone else’s son as if he were my own. I will write his family and community a message. I will tell them that I will hold Mucaad’s face in my heart whenever I get tired in the fight against hate and white nationalism. Join me. And New Zealanders came together to honor the victims. Watch students across the country perform the haka, a ceremonial dance of the Maori people, as show of commemoration and respect. 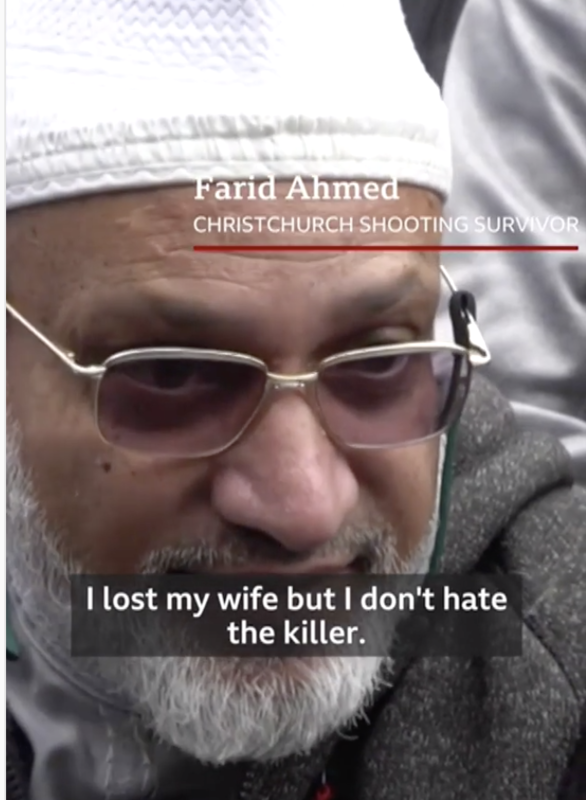 Farid Ahmed survived the shooting in Christchurch, but his wife was killed by the gunman. Watch his stunning statement on how he sees the gunman as a wounded person, extends love to him, and refuses to bow to hate and fear. Many of us are experiencing the horror of this tragedy in our bodies, especially if we belong to Muslim, Sikh, or immigrant communities. What do you need to do in order to feel safe? How do you need to grieve? How might protect your capacity for joy even in the midst of pain? Who can you breathe with today? For carefully crafted resources and support, visit the Muslim Wellness Foundation and The Family & Youth Institute.